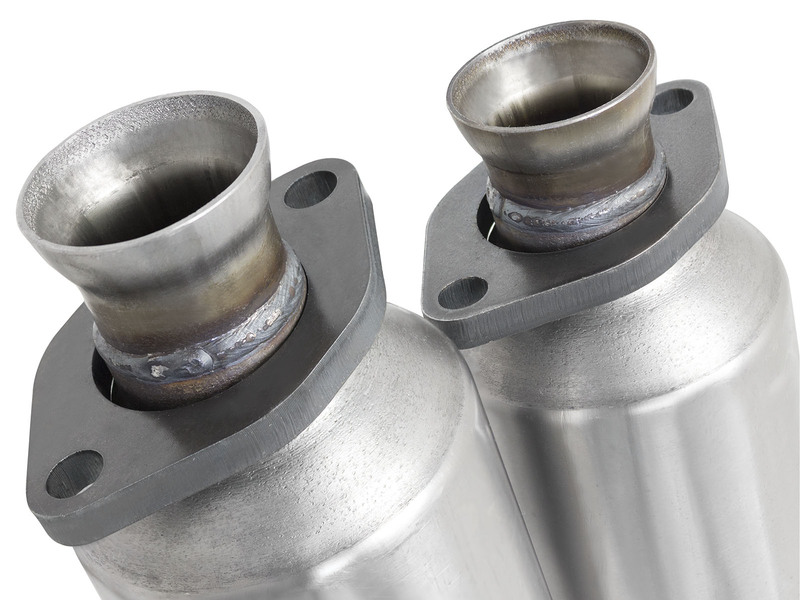 aFe POWER Catalytic Converters are designed to be a direct replacement. 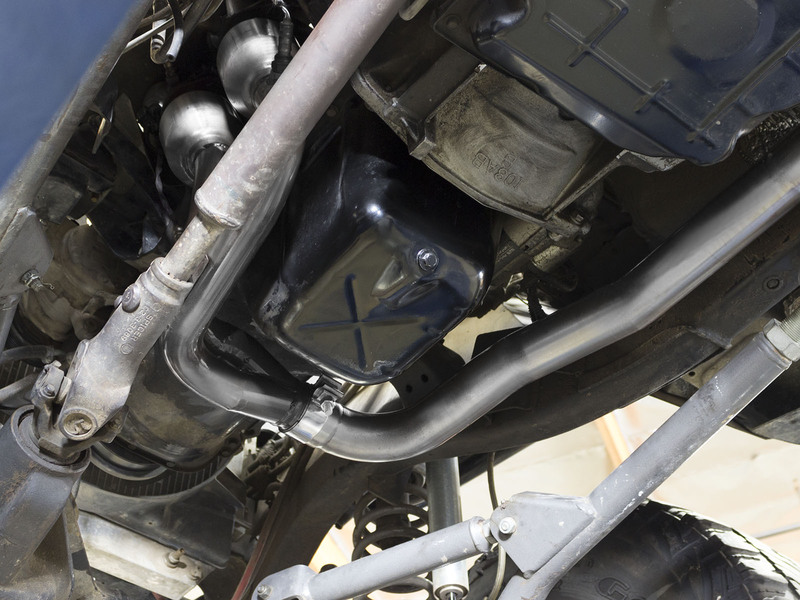 They replace the stock and faulty old front/rear catalytic converters. 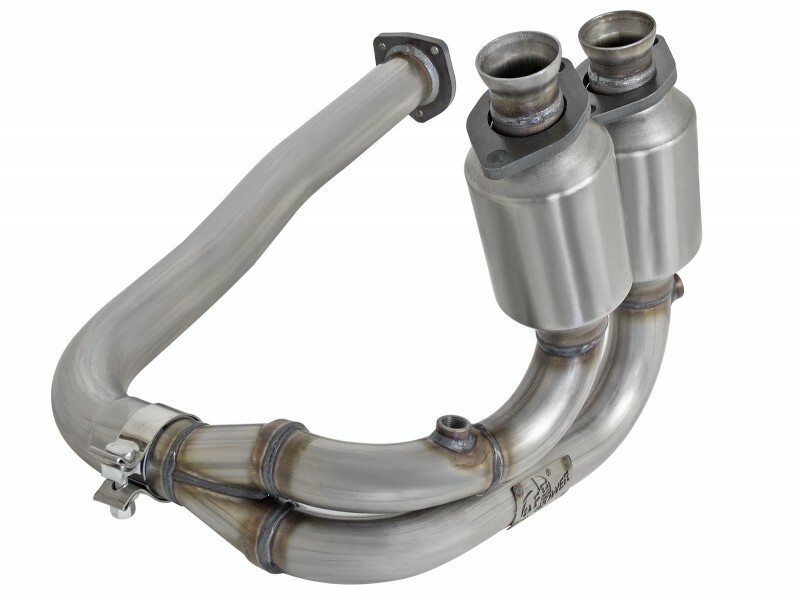 Constructed out of 100% MIG welded stainless steel for strength and durability, resisting both corrosion and cracking against tough conditions. They are a complete bolt-on design, and re-use the factory mounting locations for a hassle-free installation. 3/8" thick laser cut flanges ensure a secure hassle free installation. 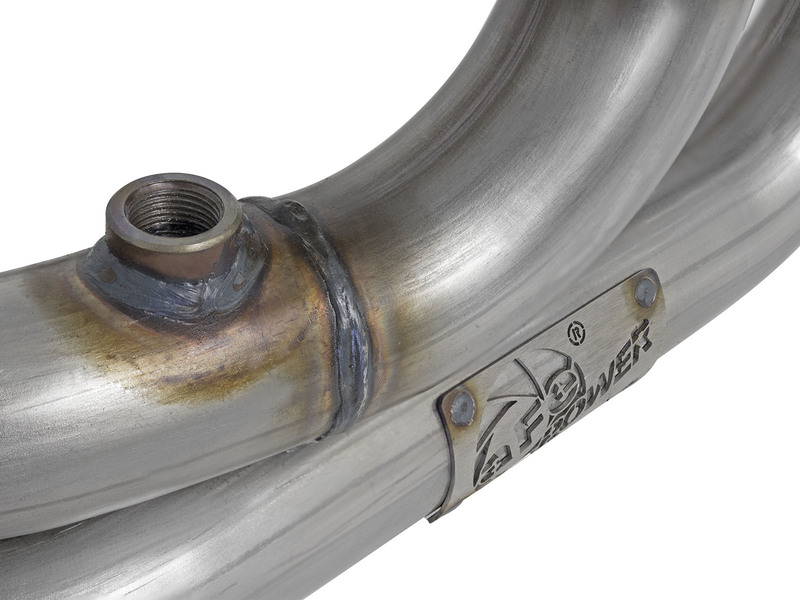 100% hand MIG-welded stainless steel construction promotes strength. Works with your stock OE exhaust. Some may require cutting depending on application.